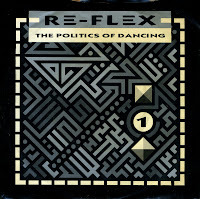 Re-Flex was an English band formed in 1981 by John Baxter, Paul Fishman, Nigel Ross-Scott and Roland Kerridge. They released their debut single 'The politics of dancing' in 1983. It reached the American Billboard chart in 1984, peaking at number 24. They were one of the first English bands to reach number one in the US dance chart. The album 'The politics of dancing' was also released in 1983, but the band failed to make further dents in the charts. They were soon labelled one hit wonders after they didn't follow up their debut album at all. Their 1985 album 'Humanication' remains unreleased.